He'll be swaying and sweeping and always keeping cool! 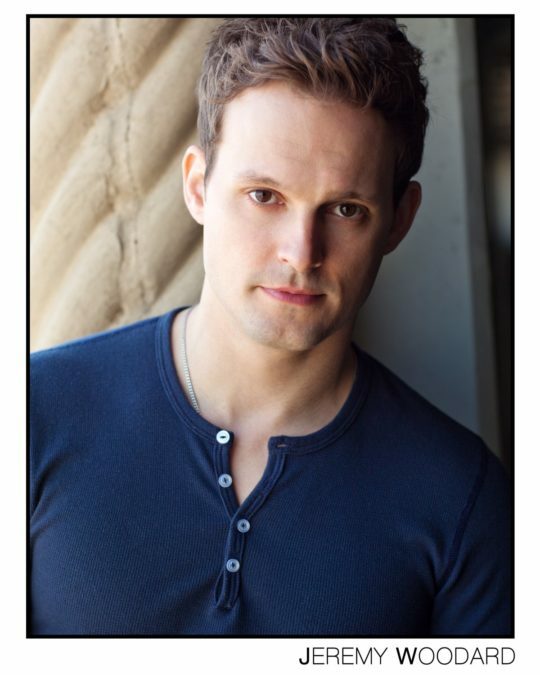 Jeremy Woodard has signed on to play Fiyero in the national tour of Wicked, beginning August 2 in Houston. Wicked is playing at the Hobby Center through August 14. Woodard's theater credits include School of Rock, The Last Ship, Rock of Ages, Glory Days, Hairspray and Miss Saigon. He has appeared on television in Crossbones, The Big C and Smash. In addition to Woodard, the touring cast of Wicked includes Emily Koch (Elphaba), Amanda Jane Cooper (Glinda), Wendy Worthington (Madame Morrible), Stuart Zagnit (The Wizard), Megan Masako Haley (Nessarose), Sam Seferian (Boq) and Chad Jennings (Doctor Dillamond). The surprising tale of an unlikely friendship between two women in the Land of Oz, Wicked tells the untold story of the Wicked Witch of the West and Glinda the Good, long before Dorothy drops in. Elphaba, born with emerald-green skin, is smart, fiery and misunderstood. Glinda is beautiful, ambitious and very popular. The remarkable odyssey of how these unexpected friends changed each other’s lives for good has made Wicked one of the world’s most popular musicals. Based on the best-selling 1995 novel by Gregory Maguire, Wicked features music and lyrics by Stephen Schwartz, a book by Winnie Holzman, direction by Joe Mantello and musical staging by Wayne Cilento.